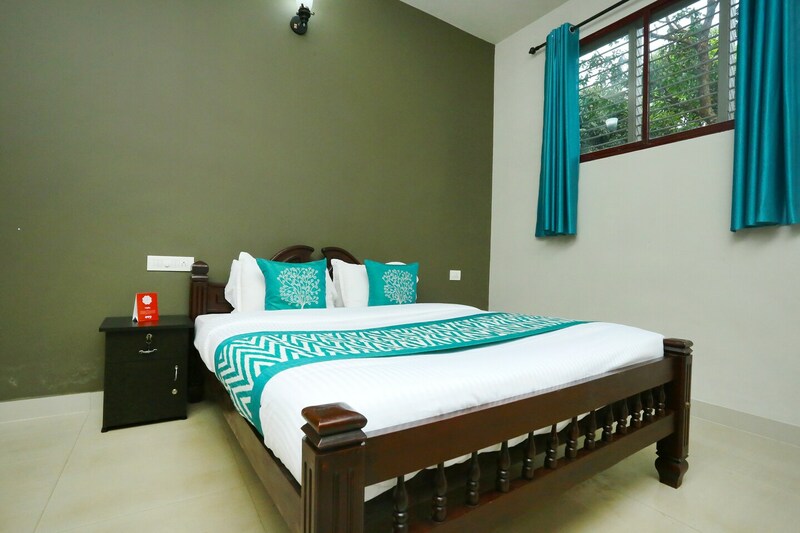 The Green Mushroom takes inspiration from nature to design rooms that have plenty of sunlight and soothing colours to provide a relaxing and rejuvenating stay for guests. The rooms are decorated in light tones, with a single statement wall completing the look. The windows are positioned high, allowing natural light to brighten up the room and providing views of the landscape. The property offers parking facility, power backup and options for card payment. The Green Mushroom has an in-house restaurant where guests can enjoy fresh and tasty food without having to leave the property. There is a CCTV camera setup in place across the premises for added security.